If you purchased a MEGA PASS while on sale, the MEGA PASS includes your gate admission and can be used any ONE day of the Fair for rides and admission. 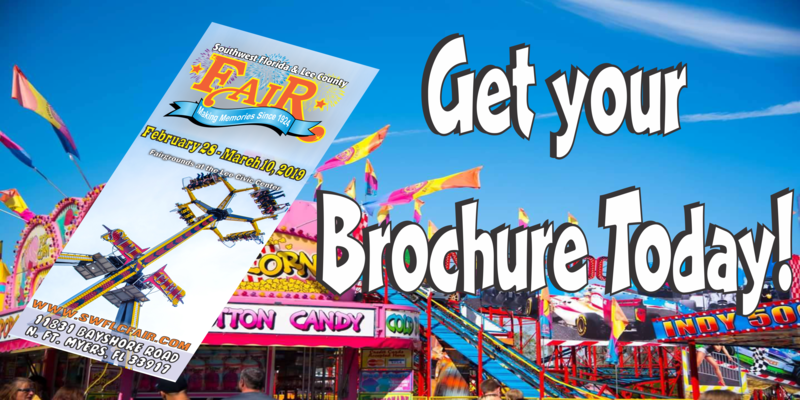 Please be sure to check for ride specials on the day you plan to visit the Fair. If there are no ride specials for a particular day, and if you did not purchase a Mega Pass while on sale, the purchase of individual ride tickets will be required to ride rides. When you come to the fair with your family we know safety is your number one concern. We want to assure you that safety is our number one concern as well. Our Ride Operator, and owner of the rides, Reithoffer Shows, has one of the finest safety records in the industry, and after being in business since 1896 that says something. Reithoffer Shows buys the newest and safest rides available from the most trusted manufacturers throughout the world. Every single ride goes through a thorough inspection every single day before we open it to the public and all of our rides are inspected by state, local, and/or third party inspectors before the opening of each event. Reithoffer Shows currently has fourteen NAARSO certified employees; more than one of which are Level III and our Safety Director was NAARSO’s Man of the Year in 2014. Many of our NAARSO certified employees are also approved Pennsylvania Ride Inspectors, Certified Maintenance Mechanics and OSHA Compliant. They maintain their certifications and gain more certifications by attending various training seminars in the off-season. These men are continuously on the Midway and work together to insure a smooth and safe operation. We are proud of our personnel, many of whom have been with us 25- 40 years or more. You have to remember, our children, family, and friends ride on these rides right next to you. We take this very seriously. Ride participation may be restricted if Reithoffer Shows feels safety of the rider may be compromised. The carnival opeartor for the Fair is Reithoffer Shows which is owned by the Reithoffer Family based out of Gibsonton, Florida. Reithoffer Shows has been in the industry for over a century and is one of the cleanest shows around. All personnel are required to be in uniform and have picture ID cards on at all times. Rides are always clean and brightly lit with LED's, and we have everything from kiddie rides to the 'super rides'. Reithoffer Shows continually strives to provide the best in family entertainment and recreation to all of our guests. We are committed to providing our guests with the safest environment possible. 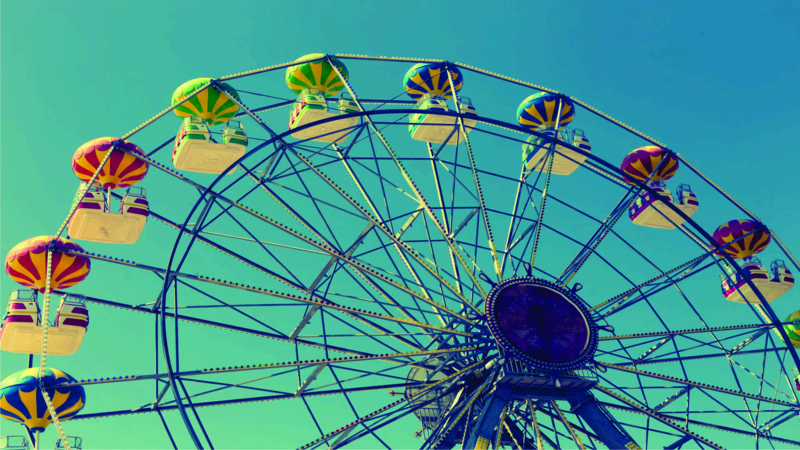 Amusement rides are not “One Size Fits All” and each person can sometimes only know if they can ride safely by trying… sometimes the restraint just isn’t going to fit properly and allow a guest to ride safely. Our amusement rides have been evaluated using our knowledge of the ride in both normal and emergency operating conditions. Using our industry experience, knowledge of ride designs, manufacturer's recommendations, and the American Society for Testing and Materials (A.S.T.M.) "Standards on Amusement Rides and Devices", our policy was implemented to maximize what each guest can participate in safely. The only way to know if a customer can fit and ride safely is to try. If the restraint does not close properly the customer will not be able to ride. Sometimes a guest who is 280 but larger all around can fit in an over the shoulder restraint but a guest who is 280 and larger in the chest area, that same restraint may not be able to fit. We restrict participation only if we feel safety may be compromised. Not all rides listed below may be available at this year's Fair.